Product Consist : Heart Shape arrangement of 40 Red Roses, 12 Inch Light Brown Teddy Bear, Valentine Greeting Card, 1.5 Kg Heart Shape Chocolate Cake along with 16 Pcs Ferrero Rocher Chocolate Box. 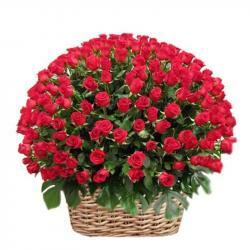 Valentines day Special gift hampers to coming with a basket of 25 red roses shaped in heart arrangement delivers the deepest love and care for your love one. This beautiful arrangement of red roses looks amazing which is decorated with white color small flowers giving it a heart pulsating look. 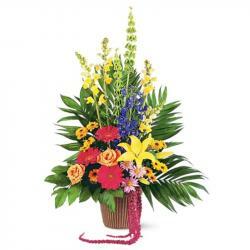 This super stylish arrangement is especially designed to show the intensity of love you have for them and is the souvenir of long lasting relationship and the bond you to share. 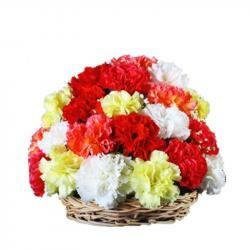 This cute teddy bear will bring glow on the face of your beloved and she will mesmerize it for her entire life. Ferrero Rocher is one of the best Imported chocolates each piece has a hazelnut center coated with the wafers and chocolate and wrap with golden paper which gives extra ordinary look of this chocolate. 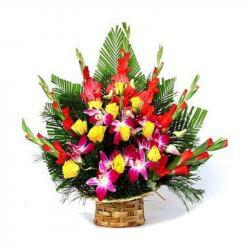 Any one can fall in loveing it's taste and attractive look. your recipient will be delight with rich taste of yummy cake which is special arranged in heart shape to win his/ her heart just within a second. Express your deep heart feeling with the valentines day card. 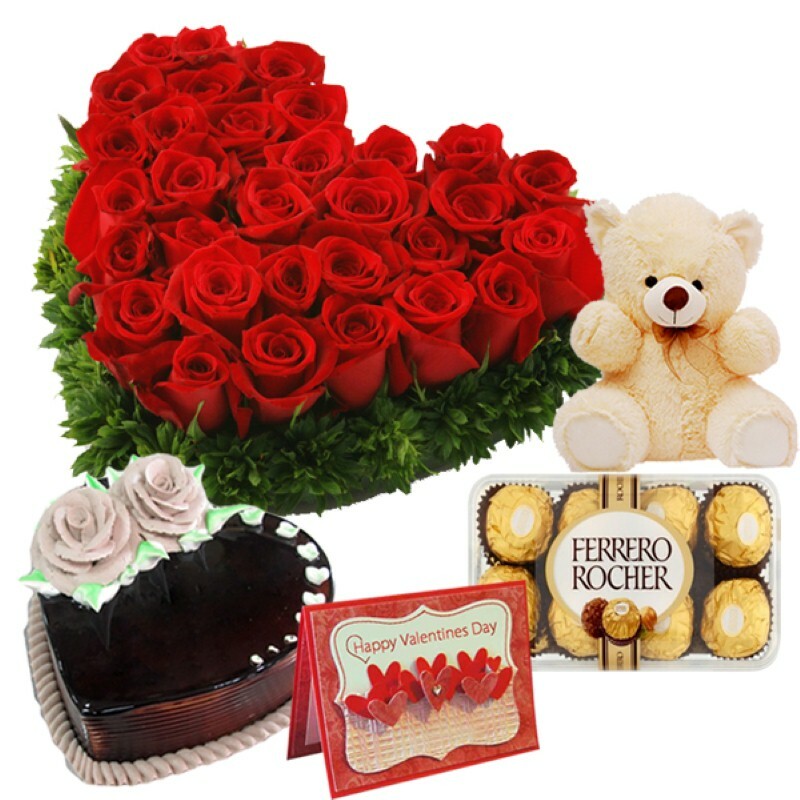 Product Includes : Heart Shape arrangement of 40 Red Roses, 12 Inch Light Brown Teddy Bear, Valentine Greeting Card, 1.5 Kg Heart Shape Chocolate Cake along with 16 Pcs Ferrero Rocher Chocolate Box.